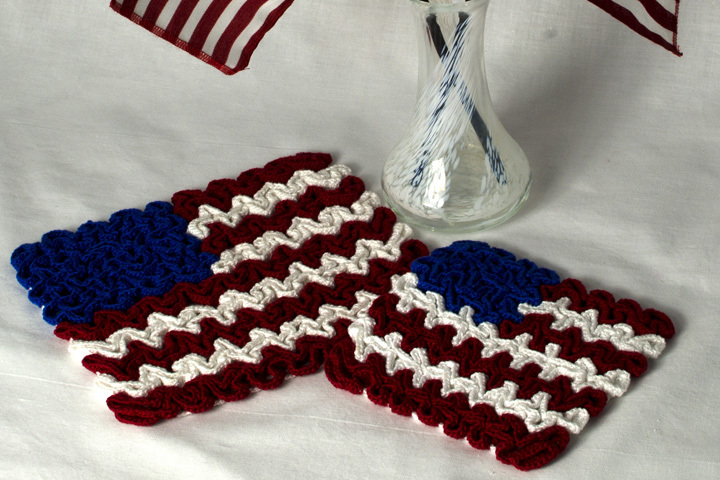 Our wiggly crochet July 4th hot pad and coaster is a great addition for celebrating any patriotic holiday, including Memorial Day and Veteran’s Day! The hot pad is perfect for the hot dish at your patriotic celebration meal while the coaster keeps surfaces unharmed from water rings. And they make great gifts, too!